Sometimes you have to let go of the picture of what you thought life would be like & learn to find joy in the story you're living. I'm sorry for everyone's loss. That said if you think your family is immune from death, infidelity, financial loss, sickness and your happiness in life depends on another person, you need to look within and look to our creator God to help us have a plan. Nothing on this earth is permanent. Not you, your spouse, your love, your home or kids. Make your life of giving to others and hold on to God. Live for the present and be content and know that God is in control! Sometimes you plan things and things don't turn out as you expected. Some things are out of your control. Accepting that life isn't always what u visioned can be difficult, but living in that world can really drag you down. It's best to try to make the best of what cards your dealt. Play your best hand. Life is what happens when your busy making other plans. 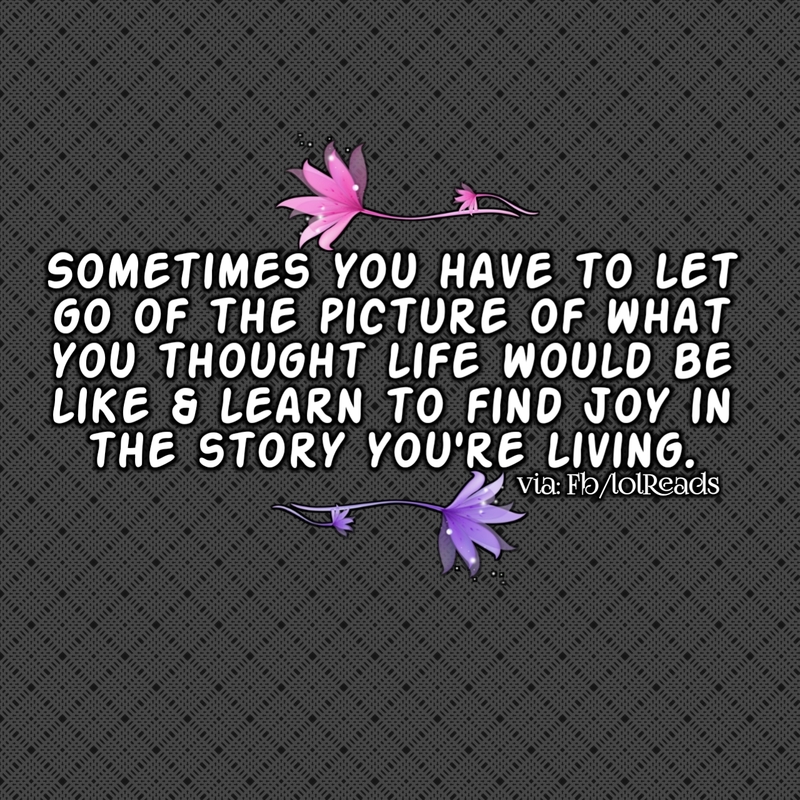 Find joy in the story you're living picture/image is an Inspirational Stuff to Inspire and Motivate You. You can download pics by just clicking on the Images. Thanks for visiting Truth Follower an online place for huge collection of inspiring pictures, quotation, and Sayings Images. If you like Find joy in the story you're living, Please Share with friends and family on Facebook, Twitter, and Pinterest.